BRENDAN’S MYSTERIOUS BASEMENT BOX CONTINUES THE WILLIAMSON’S SERIES OF TALKS THE THINGS THAT LIVE UNDER THE STAIRS. THIS ILLUSTRATED TALK BY THREE ARTISTS REVEALS MORE TREASURES FROM THE GALLERY’S BASEMENT STORAGE AREA. 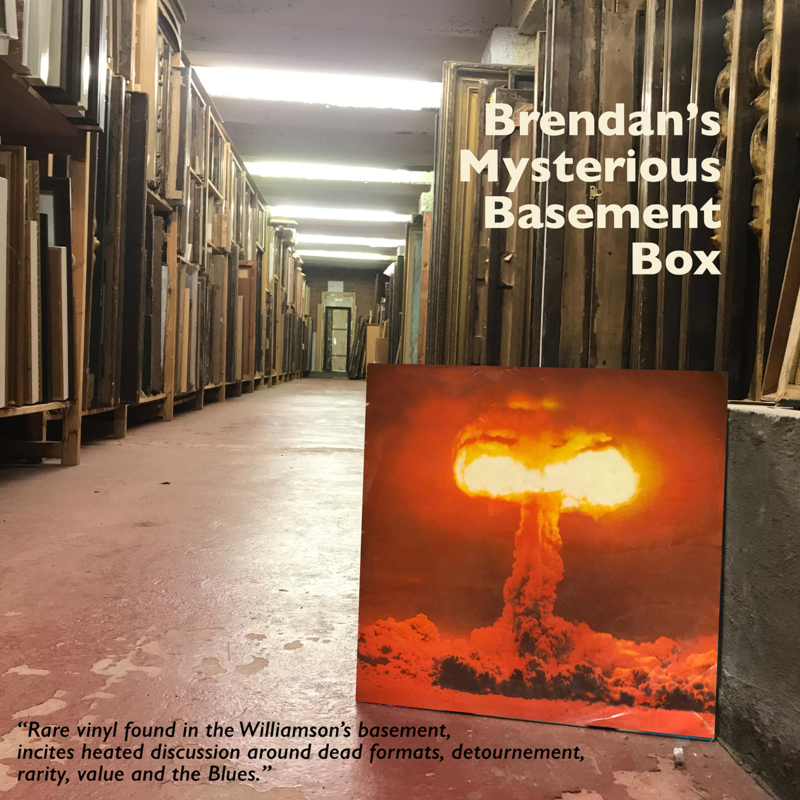 Their unexpected discovery of two boxes of long playing records, once the collection of acclaimed Wirral guitarist Brendan McCormack (1944-2009) provides a starting point for this evening, as individual LPs trigger a wide-ranging discussion about music – jazz, blues and pop – and its dissemination. Topics covered include the music industry and recorded music’s changing formats, connections between art schools and pop music, graphic design and popular culture. Illustrated with images and film and sound extracts, the talk explores record collecting, obsession and the continuing allure of vinyl. Alan Dunn is Reader in Fine Art at Leeds Beckett University and lives and works in Wirral. Bryan Biggs is Artistic Director of Bluecoat, Liverpool’s contemporary arts centre. Steve Hardstaff is a retired Art and Design lecturer and a non-retired record sleeve designer.